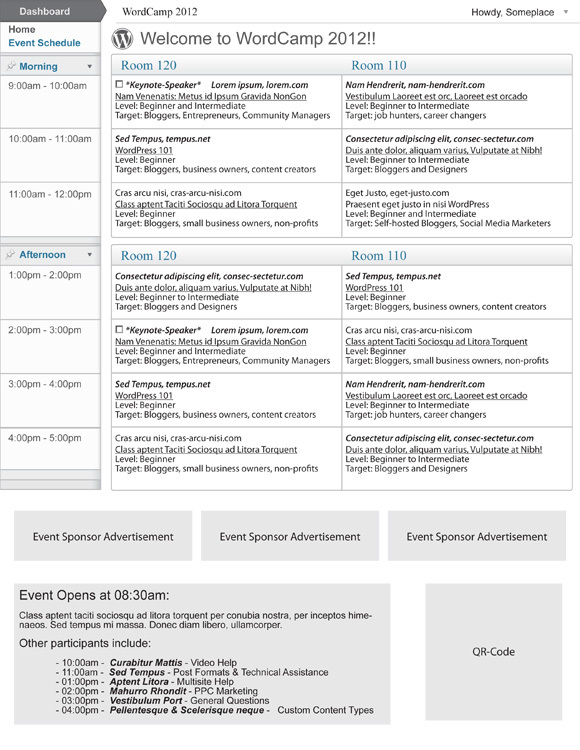 This wp-admin vector template was designed to use as the event program / agenda for WordCamp 2012 in Victoria BC Canada. This wp-admin template needs to be revised to reflect the admin-dashboard as of 3.6+ I’ll get to it one-day. The download includes .pdf (portable document format), .wmf (windows meta-file), .svg (simple vector graphic), and .ai (adobe illustrator) files. 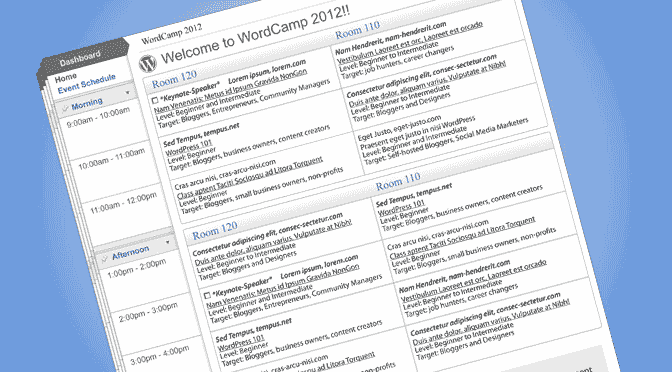 With minor edits you can use these templates to present the event schedule for your next wordpress-blogging-seminar or meeting. I took great care in matching colors and proportions of all design elements when converting the wp-admin interface design in to this printer-friendly document template. Hopefully others will find these files useful for WordCamp events, WordPress meetings, or elsewhere. If you have an eCafe, this template could even make a really nifty menu… If one wants to get extremely creative I would suggest printing this design on your favorite paper and making origami-cranes or paper-hats with it. Please use, revise, and redistribute this resource freely. Attribution is appreciated.